Tribulex Mega 750 Review: Is it for me? Tribulex Mega 750 is said to be a testosterone booster which is all natural. The makes claim that the single active ingredient, Tribulus Terrestris, makes it the best on the market.The manufacturer is MVP Biotech and they have been producing supplements for well over 25 years. They claim their formula is purer and more potent than any other in the entire industry.This formula was created to assist individuals suffering from low T and/or erectile dysfunction, but with an added bonus. Tribulex Mega 750 can also enhance hard gain efforts in the gym. The manufacturer believes that this supplement can kick the libido into gear; push stamina beyond normal limits; and increase endurance levels. This should mean that it will turn the user into a beast in the gym and the bedroom. The only ingredient in the Tribulex Mega 750 formula is Tribulus Terrestris which is sometimes referred to as Devil’s Weed. It is an extremely popular component of numerous sexual enhancing and testosterone boosting supplements.The plant it is obtained from is known as the Puncture vine which is indigenous to Asia; Europe; Africa; and Australia. Those in the United States consider it an extremely invasive weed, but in Asia it has been used as a powerful medicine for hundreds of years.Tribulus Terrestris has numerous health beneficial actions to offer and much of them can be found in ancient Asian medical texts. 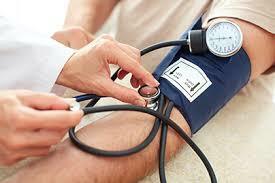 They have long known that it can promote the health building of all tissue including muscle. It incites protein synthesis and provides fuel for the libido.One of its actions is to stimulate androgen receptors which enhances testosterone and kick sexual performance into high gear. In addition to this, Devil’s Weed alters the body’s response to stress hormones as well as greatly enhances blood flow.It has the ability to reduce blood pressure; balance blood glucose; and support a healthy prostate. 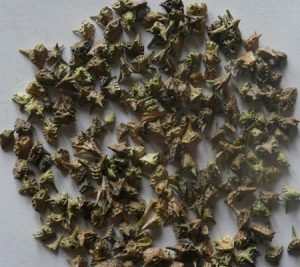 This is only the beginning of the list of health benefits that Tribulus Terrestris can provide. This is why it is found in most supplements marketed for male enhancement whether in the gym or the bedroom. Tribulus Terrestris, the single active ingredient in this formula, has been extensively studied in scientific laboratories and found to produce the results claimed. It is less expensive than others of its type. The company, MVP Biotech, provides a list of websites where Tribulex Mega 750 may be ordered. The manufacturer offers a money back guarantee for those who unhappy with the results. There is only one active ingredient in this formula. There are no consumer reviews to be found. The post market formula has not been scientifically researched. The website for the Tribulex Mega 750 does not offer very much information about this product. There is no feedback, good or bad, for this formula to review. The MVP Biotech business does offer consumers a monetary reimbursement, if they are not pleased, which is a major selling point. It appears to be worthy of a shot.